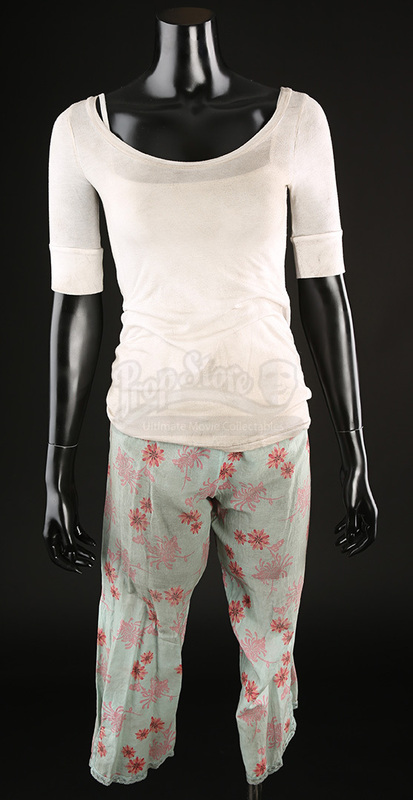 Beth's (Odette Annable) pajamas from the 2008 American monster thriller, Cloverfield. Directed by Matt Reeves and produced by J. J. Abrams, the story unfolds through recovered found-footage in the aftermath of a devastating monster attack in New York City. Beth can be seen wearing this costume when her friends come to rescue her from her crumbling apartment. 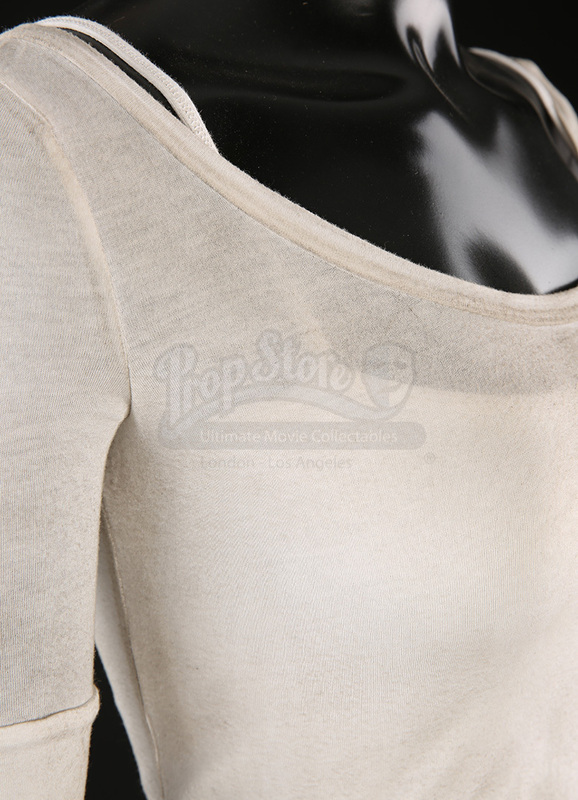 Included in this set is Beth's tank top, shirt, and pajama pants. The pajamas are made by Cosabella from cotton and silk and features a floral design with drawstring at the waist. Both the pajama pants and the t-shirt are marked as a size small, and the tank top does not feature any sizing tags. This lot has been production distressed with dirt from debris, but remains in otherwise good worn condition.